We're more than just a sports bar. 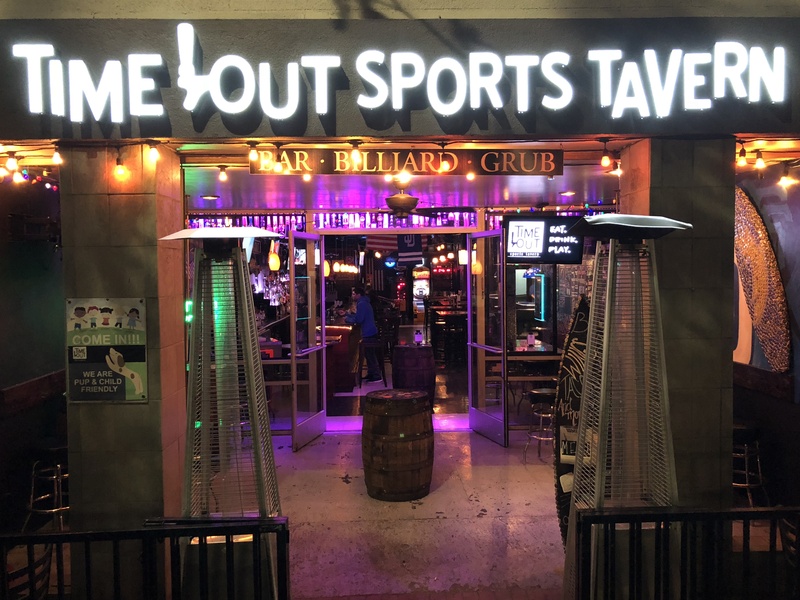 Established in 2011, Time Out Sports Tavern has proved itself to be the beloved spot of both locals and tourist over the years. We’re locally owned and operated and strive to provide our community and those visiting it with the best service possible. Whether you’re here watching the game on our screens, enjoying lunch with your coworkers, playing pool and games with friends, unwinding with Happy Hour, or celebrating the weekend, our staff will make sure you have an amazing experience. Our craft beer and liquor selections are sure to wow you and our delicious menu with fresh ingredients will put your taste buds in awe! Our classic American and authentic Mexican selections are made with lots of love from our kitchen to your plate! From our bottle cap walls and tables to our hand-crafted drinks, we’ve created every aspect of Time Out with our very own hands. True labors of love! We pride ourselves on our friendly and knowledgeable staff! Whether you’re looking for the perfect craft beer or want an awesome cocktail, they will be sure to serve you excellence! Whether your a craft beer snob or domestic beer drinker, our huge beer selection has something for everyone! We have three pool tables and many old school arcade games. Have some fun! Parties, office events, open houses, sports gatherings, and more! Our catering services will make your next event even more delicious! “Great food. The owner is personally Invested in this bar. Idustry Mondays!! It’s both a local bar AND the better place to party Downtown. “Pork belly sliders are amazing. You can’t say you’ve lived until you try this. Got full bar and can make anything you want. Join us for Keep the Pint Night every Thursday starting at 6pm. View our events page for more details.